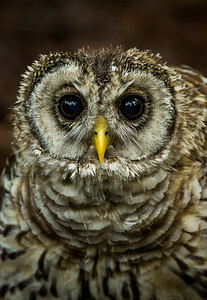 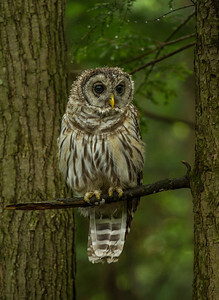 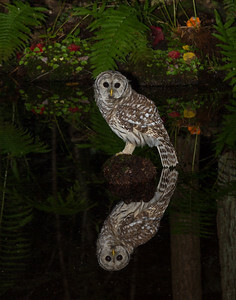 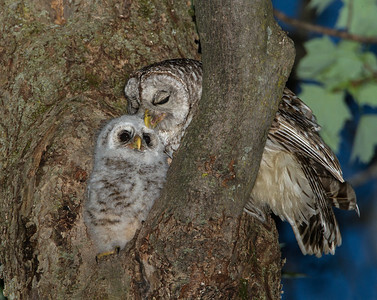 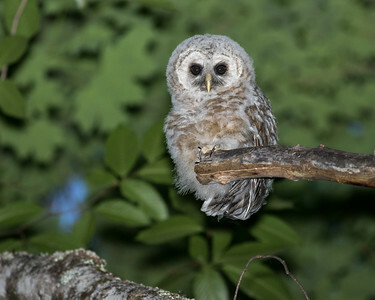 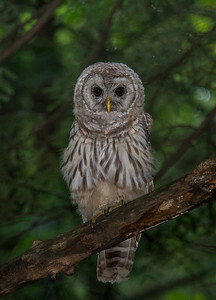 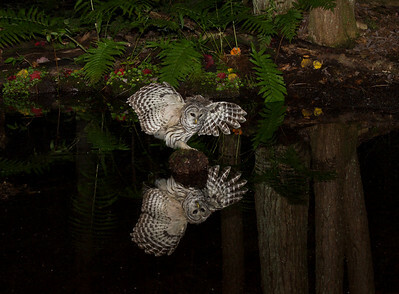 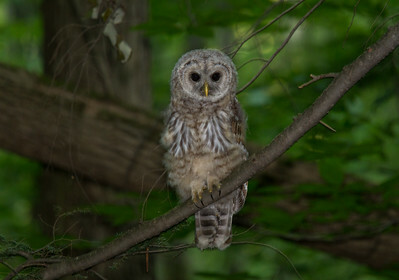 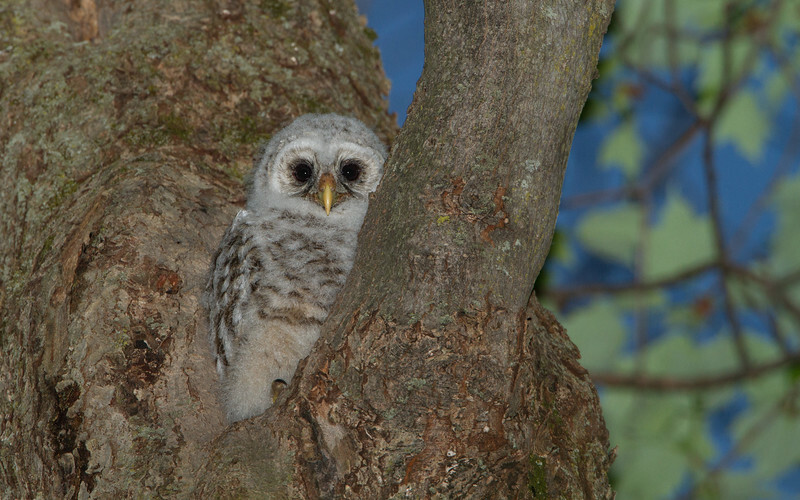 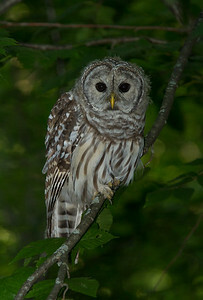 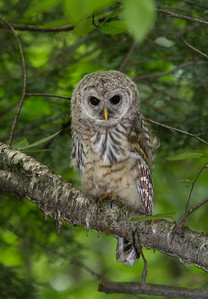 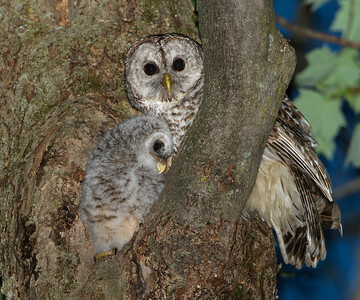 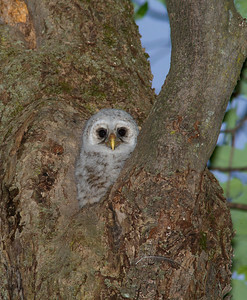 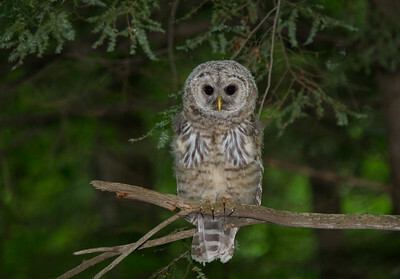 Male Barred Owl tends to his young owlet. 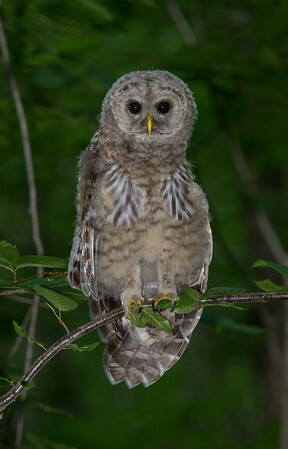 Note the transition of adult plumage forming. 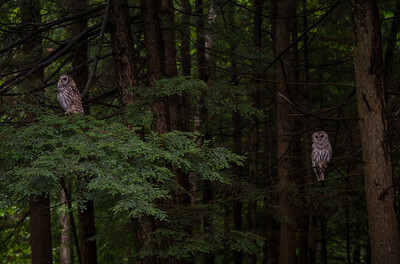 Under the protection of dense conifers from its birch perch. 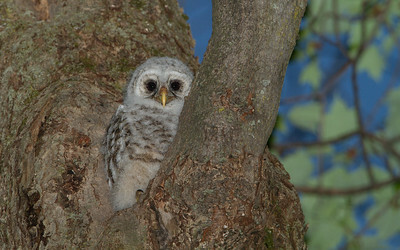 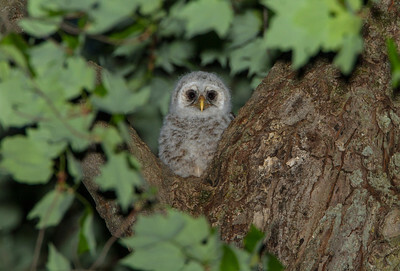 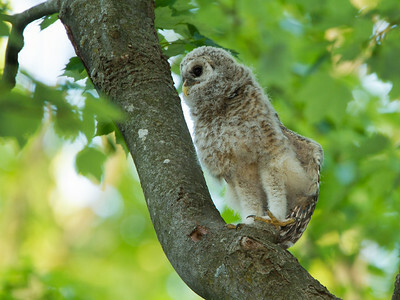 Barred Owlet explores the world below the forest canopy. 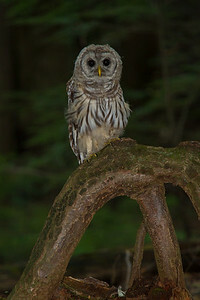 Beginning to explore the forest floor after spending so long high in the forest canopy. 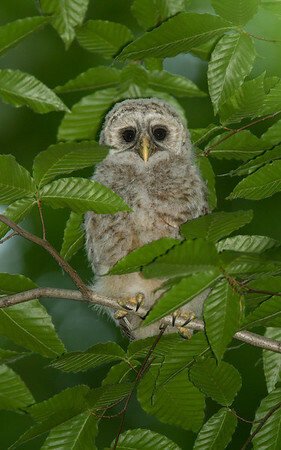 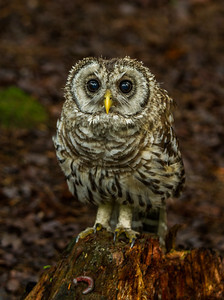 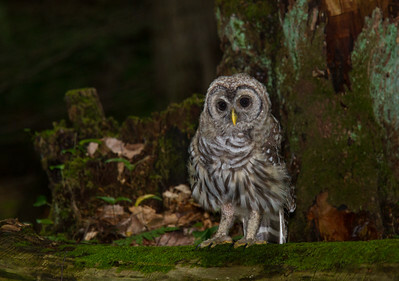 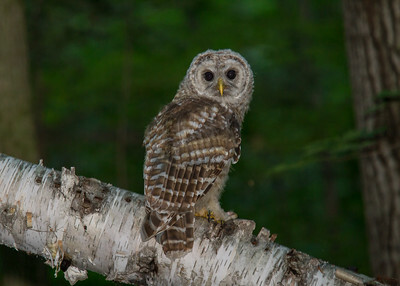 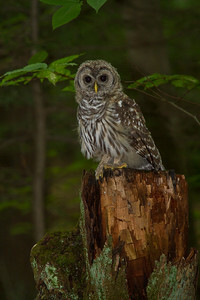 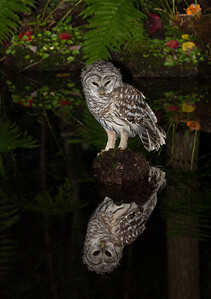 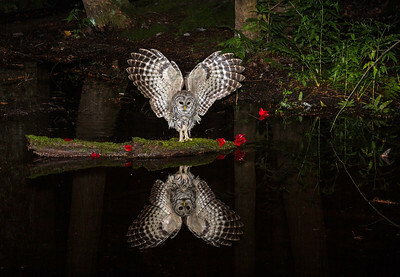 Barred Owlet on the forest floor. 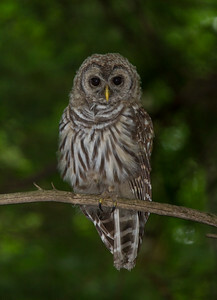 Adult plumage is nearly complete.